Charging ahead or still on the grid? Electric cars need to be plugged in every now and then. But what do you do if you haven’t got a driveway? As the countryside around Bampton fills with huge new housing estates and commuters, even the lanes that lead to major routes are rammed in rush hour. Traffic on the A40 is moving so slowly that the County Council are rumoured to be considering parking meters. We could do with the railway back again (we even used to have a station – fancy! ), but there’s little chance of resurrection. Driving from the back seat. I’ve not worked as an advertising copywriter since June 2013. I’m rather relieved about this. A recent Twitter post about difficult clients reminded me why, so I dredged this out of my ‘drafts’ folder. It’s a piece I wrote in March 2008 to try and illustrate why the traditional client/agency relationship in advertising was (and still is) screwed. Opens on a smart, glass-walled City lawyer’s office. Two people sit facing each other over a meeting table. They are lawyer and client. Opens on a smart, glass-walled advertising agency’s office. Two people sit facing each other over a meeting table. They are copywriter and client. 241 years ago today, John Harrison, one of Britain’s finest clockmakers died. He left behind designs for a clock that makes the accuracy of that quartz watch on your wrist look pretty average. Chances are, your quartz will be be reasonably sharp. Probably just +/- 15 seconds a month. Not shabby, given the low price of a mainstream quartz. If you have a modern mechanical watch, +/- 15 seconds a day would be normal. Still impressive, particularly with a balance wheel inside that has to revolve nearly 700,000 times each day. But how about John Harrison’s pendulum clock built from a set of 241 year old plans? How long would it take to gain or lose a second? Just to make the question more interesting, imagine it was designed by a man who’d started life as a rural carpenter who made his first clock out of wood. Then imagine he’d decided not to lubricate the mechanism either. How accurate would a clock like that be over 100 days? This is Clock B, made by clockmaker Martin Burgess from John Harrison’s pendulum clock theory. Harrison was the eighteenth century English clockmaker who should have won the Admiralty’s Longitude Prize and pretty much invented the accurate marine timekeeper. In January this year Clock B finally vindicated its designer’s 1774 claim that he could design a pendulum timepiece that was accurate to within a second over 100 days. Harrison was living proof that you need more than talent to get on in life. He endured knockback after knockback throughout his 63 year career. The British Admiralty picked fault with each of his chronometers. Rivals criticised his work and publicly undermined him. And his final assertions that his pendulum clock with his own grasshopper escapement could be accurate to a second in a hundred days were met with derision. Two things in Harrison’s background seem to have combined to make him a remarkable and innovative clockmaker. First, he was – in effect – a natural materials scientist. He’s often portrayed as ‘just’ a rural carpenter, but that understates his affinity for, and experience with, the materials he used. Not only this, but Harrison instinctively understood the need to reduce – and even remove – lubricants from clock mechanisms. As McEvoy explains, “Oil was the Achilles heel of any clock or watch. Harrison did away with lubrication altogether in his pendulum clocks and large timekeepers.” Modern watchmakers are still trying to find ways to do this. It was this fresh thinking that led to the plans for Clock A, an ultra-accurate pendulum clock, being realised by clockmaker Martin Burgess. Clock A was commissioned from Burgess in 1975 by the Gurney family, a Norwich banking family. Completed in 1987 (proving you can’t rush good clockmaking) they gave the clock as a gift to the city of Norwich where it ticked happily in a local shopping centre, the Castle Mall, until it was removed in 2015. Burgess had also started another Harrison pendulum clock, Clock B, but not finished it. The parts for the clock gathered dust on a shelf in Burgess’ workshop until 1993. In 1993, he delivered a paper at a Harvard horology symposium where he talked about the ‘scandalous neglect’ of Harrison’s work in pendulum clock innovation – and, crucially, mentioned Clock B. Art historian and clock collector Donald Saff read the paper, tracked him down and persuaded him to sell him the unassembled and unfinished Clock B. Saff then commissioned English clockmaker Charles Frodsham to complete the project. It quickly became clear that Clock B was something very special indeed. McEvoy continues, “We looked at the behaviour of Clock B very deeply, and we found that any fluctuations in its timekeeping were cyclical. In other words, they weren’t a problem because they were wholly predictable.” So although the clock’s timekeeping varied by a few fractions of a second, in effect, it evened itself out. Finally, to determine whether Harrison’s words were indeed “…the symptoms of insanity” as The London Review of English and Foreign Literature suggested, Clock B was sealed in a perspex case in January 2014 and trialled for 100 days. To ensure there was no horological tinkering, the National Physical Laboratory and Worshipful Company of Clockmakers oversaw the trials. At the start, Harrison’s B clock was running a quarter second behind GMT. After 100 days of running, it was a mere 5/8ths of a second behind. So why did Harrison do it? Why did he persist until almost the day he died in developing, defending and promoting pendulum clocks? He had a vision that, one day, every port would have a public pendulum clock, accurate to within fractions of a second, for mariners to set their marine chronometers by. This would mean they were able to calculate their position at sea to within a few nautical miles, thus missing shoals, sandbanks and rocks. Harrison realised that accurate timekeeping wasn’t just a theory, it was a lifesaving practice. So, today, the 24th of March, raise a glass to Mr Harrison’s 241st anniversary. A remarkable man very much ahead of his time. This year, take a trip to Greenwich and take a look at Harrison’s other remarkable marine chronometers – it’s well worth the visit. Today will pass in most people’s diaries with never a thought for the man behind so many elements of the watch on their wrist. Abraham Louis Breguet was born 270 years ago today in Neuchâtel, Switzerland. Automatic winding, tourbillons, gong-repeaters, more accurate escapements, better hairsprings, shock-absorbing escapements, lubrication-free escapements… Breguet was responsible for either inventing or significantly improving them all. Yet, for a man who brought such ordered beauty to watchmaking, he lived and worked through some of the most chaotic and ugly times in European history. Imagine. It’s the 1780s, you’re a French watchmaker and your work is not only being bought by Marie Antoinette but the titled and wealthy glitterati of the day. Even better, the French Queen is – in modern parlance – your brand ambassador, telling anyone who’ll listen that you’re the finest watchmaker in France, if not the world. Cut to May 5 1789 and the start of the French Revolution. Proof, if ever it was needed, that celebrity endorsement can end up being rather more of a burden than a boost. Welcome to Breguet’s turbulent life. As watchmaker to the rich, royal and famous, hanging around in revolutionary France was likely to cut Breguet’s career short in more ways than one. Being both smart and commercial, he packed his tools and headed home to Switzerland. And that’s where he conceived the idea of his single-handed Souscription watch. It was a perfect idea commercially, horologically and democratically. Anyone could make a down-payment (a souscription) for their watch which allowed Breguet to keep his cashflow running and start making it. The watches were simple (by Breguet’s standards), and were designed to be repaired by any watchmaker. You’d set the single hand with your finger or a sliver of wood and wind it through the hand’s centre. That’s because the barrel is in the middle of the watch with the balance and second wheel engineered symmetrically around it. No need for friction-generating motion work either. Genius. You could even have your Souscription fitted with Breguet’s montre à tact system that allowed you to feel – rather than see – the time by touching tiny protrusions from the watch case. 62mm of simple, classical gorgeousness with so much history inside the case there’s barely room for that beautiful movement. The only thing better than owning one would be the chance to have met the man whose workshop made it. Happy 270th birthday, M. Breguet. Rare vintage watch turns up in auction. They always say ‘never meet your heroes’. The same often applies in Watchworld. That gorgeous IWC Portofino you thought was the pinnacle of refinement and gorgeousness turns out to look like an oversized Christmas chocolate coin on your wrist. Sandalwood aftershave and a crate of beer. Gold Rolexes, paparazzi and a boot full of booze. PowerPoint, pointy shoes and bonus pay. With profuse apology to John Masefield. 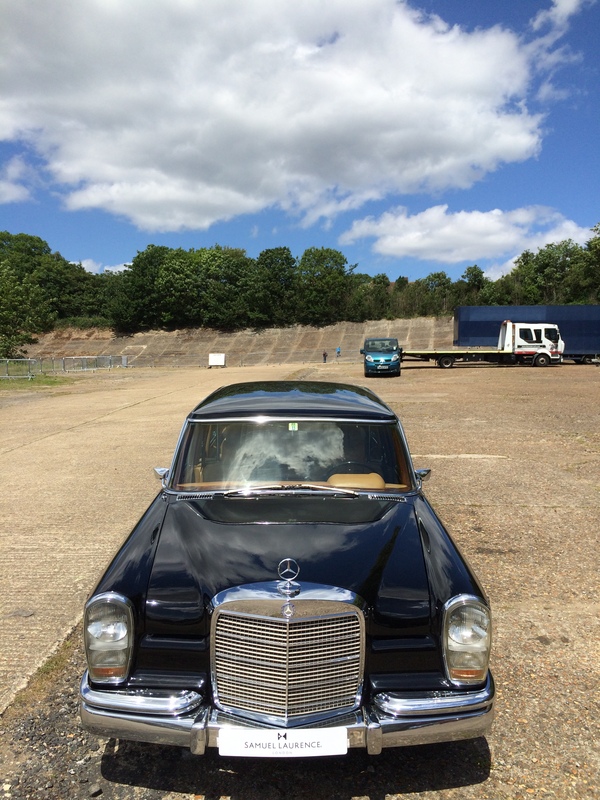 There weren’t many better places to enjoy clear, blue sky and things with engines than Brooklands last Saturday. 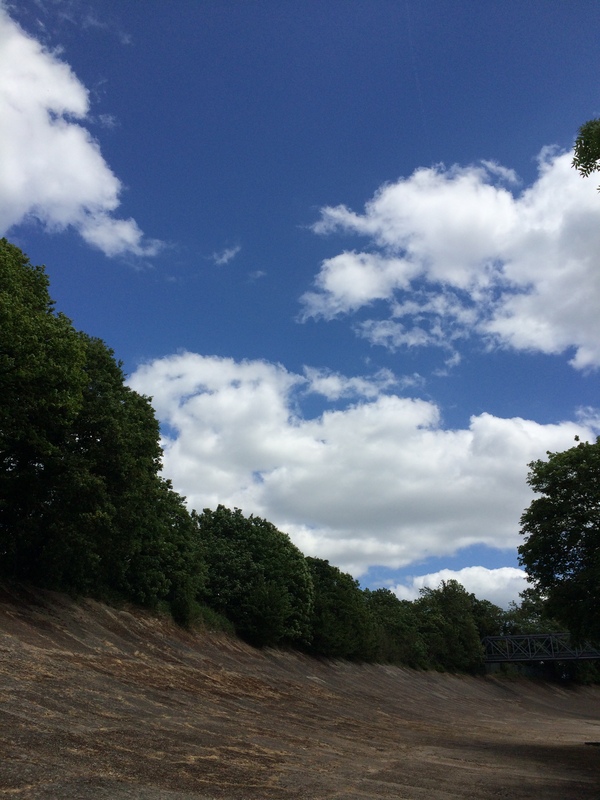 It must have been a study for the English country idyll in 1906 when Hugh Locke King (the chap who owned most of Weybridge) decided to build the world’s first motor racing track on his fields and woods. All the best ideas need a bottle or two. Like most good ideas, it was hatched over several bottles, a good supper and some good pals. And, despite a conspicuous lack of key performance indicators, service level agreements and “official” suppliers of branded anything, it became the crucible that produced British motorsport and British aviation. A proper Rolls Royce. One I was sorely tempted to bring home. 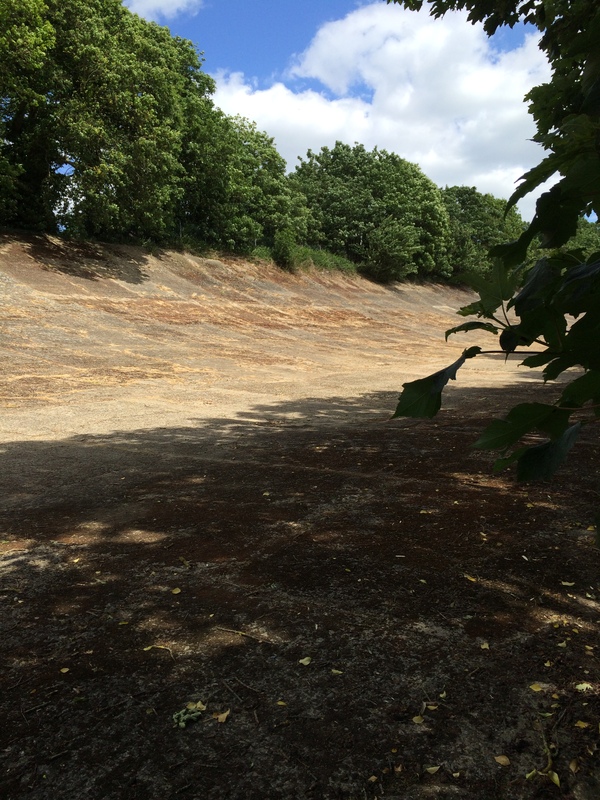 The Brooklands banking in sunshine. Take Selwyn Francis Edge, a businessman, car importer and noted motoring enthusiast. Even before the track was open, he decided that he would set a record for driving at 60mph over 24 hours. That was an impressive ambition in the days when cars broke more than they ran and injured their drivers about as often. Mr Edge and the Napier. Mr Edge planned to use his seven-and-a-quarter litre Napier with a heady 60bhp, on tyres barely wider than a motorcycle’s, and establish the record over the night of 28 – 29 June. He would start at 6 o’clock in the evening, so he’d still be alert when darkness fell. The feat meant hustling a car that only its good friends would have described as ‘overpowered’ and ‘skittish’ around a banked concrete oval of 2.75 miles for 24 hours. 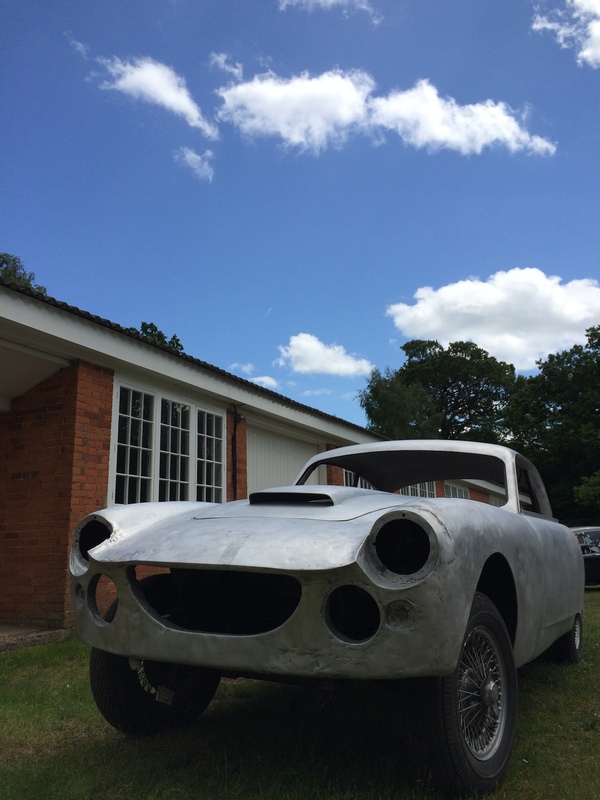 With acetylene headlights needing – shall we say – a little help, it meant lighting the edge of the nighttime track with lanterns and flares. And it meant sitting on a seat that was really a green buttoned-leather club chair. With brakes that looked better than they stopped – and they weren’t pretty. Oh, and it rained all night. One leading doctor told Edge he’d either die of exhaustion or be driven mad through boredom. To give a little context, just thirteen years earlier the first motor race had been run from Paris to Rouen. The winner’s average speed? 10.7mph. Although that would now get you a speeding ticket in parts of Islington, back in 1894 it was hailed as a huge achievement. Edge smashed the Paris-Rouen speed and covered 1,581 miles and 1,310 yards of Brooklands track at an average speed of 66mph, near as dammit. That’s an average 66mph. If you think that doesn’t sound very fast, check the average speed display on your modern car – bet it doesn’t say much more than 48mph. To get a sense of what it must have been like, try steering a wheelchair down the Stelvio pass – blindfolded – while people drench you with fire hoses. That’s the sort of place Brooklands is. It reeks of history. Still. They made Wellington bombers here (2,500 of them), Sopwiths and Hurricanes too. The Royal Flying Corps’ 1, 8, 9 and 10 Squadrons had their homes on the in-field. Hugh Dowding (he of “Dowding Spread” machine gun harmonisation fame) learned to fly at Brooklands. You can still smell the 100 octane and cordite. The banking in the sunshine. 148mph, anyone? 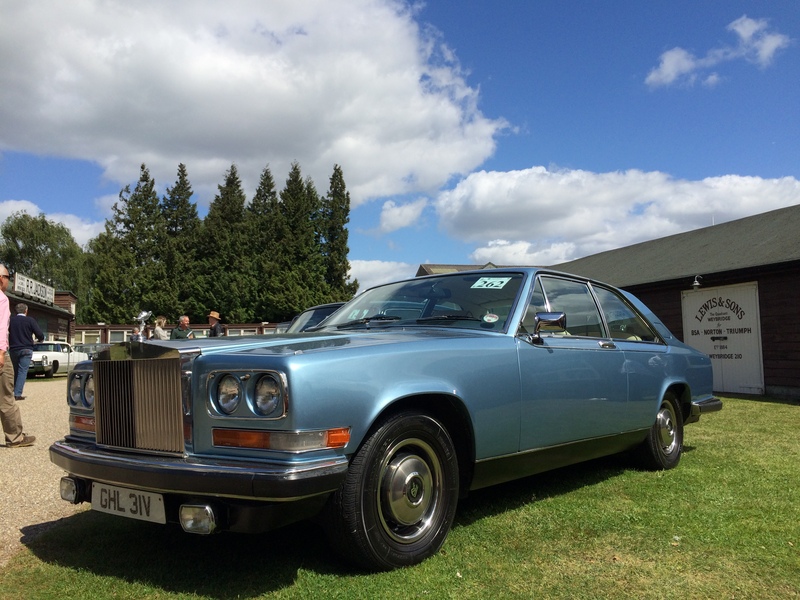 I’d gone to see some of the cars in Historics’ June auction. There were some real beauties. And a couple I rather fancied. An Amazon 121 combi (that’s the shooting brake version of mine), a little Alfa 1300 Junior, a proper Rover P4 and a T1 Bentley (really a Shadow that reeks just a little less of cheap cigars and sheepskin). Also, to demonstrate what a taste-setter I am, a Rolls Carmargue – they’re soon going to be seriously hot property, mark my words. And a couple of BMW 635CSis. No, that’s fine. 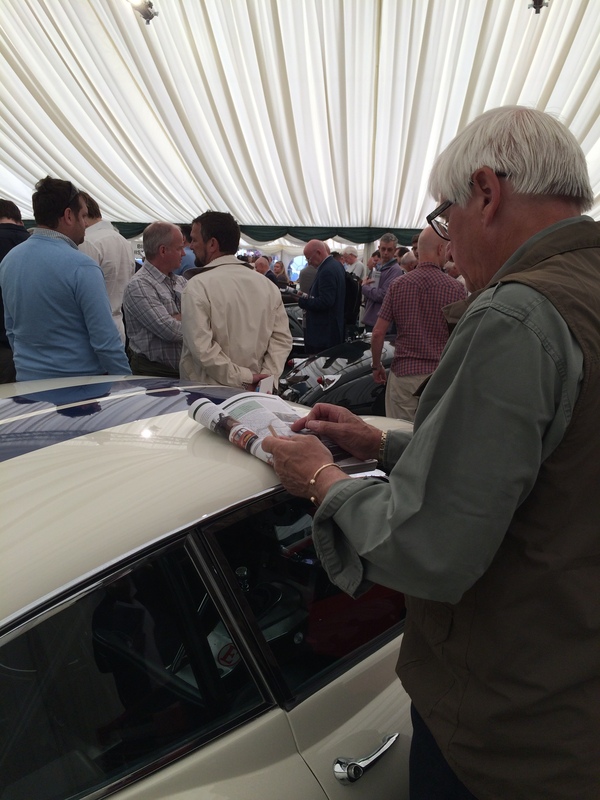 Rest your catalogue on this E Type’s roof. They wouldn’t have let the likes of me in back then. The auction was fascinating. There were serious dealers with every other catalogue page clogged with Post-Its. There were dilettantes like me, with more hope than expectation. And there were chaps in scruffy jeans with 18ct gold Submariners who, I suspect, owned some of the more exotic kit on offer. The auctioneers had a perfect line in cynical, slightly combative patter. To a buyer offering a £100 increase “Ah, a squeak. I see we now have a mouse-bidder” and, to another reluctantly plodding bidder, “I asked you for £50,000 twenty minutes ago and now you’ve just bid £50,000. You could have saved me the time, couldn’t you?” All splendidly good natured. The first lot of the day – bits of a Bentley 3 1/2 that the uninitiated would use to make a garden shed – was expertly auctioneered up to just over £1,100. A white Bentley Continental R with under 50k on the clock sold for under £25k. Even if it was lard-white, that’s still insanely cheap for a soft top Bentley. A Noble Ferrari 330 P4 replica with a £30k reserve hit just over the target – which may have been bargain of the day. And a Delorean DMC-12 with barely delivery mileage and the factory papers still in the window clocked up a busting £57,120. 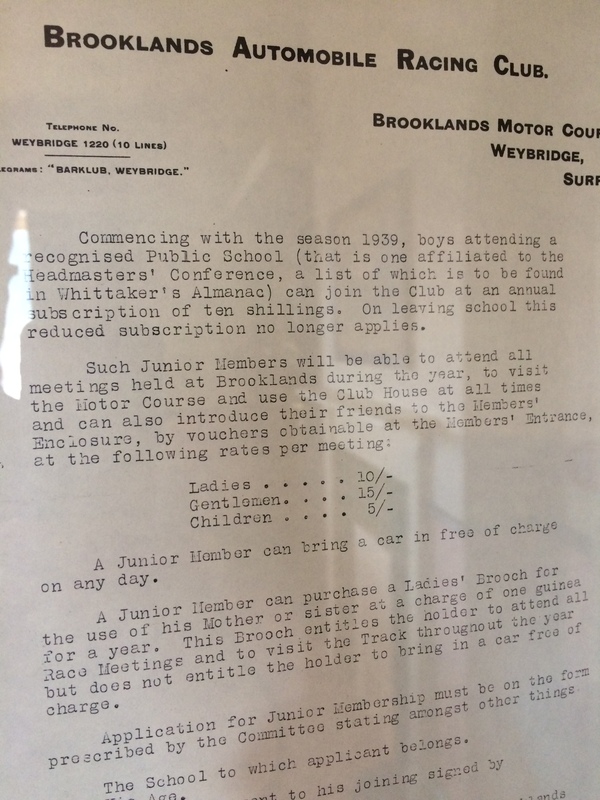 The Brooklands the council wanted rid of. So I left the chaps with wads of fifties that could choke a racehorse and went to look at the other Brooklands – the banking and the airfield. There’s not much of it left now after decades of development and incursion from the surrounding area. But the finishing straight is still there, with the WWII air-raid shelter off to the right. And the Members’ Bridge and banking. A very special place. On a summer Saturday I was expecting it to be packed. Instead, I had it to myself. I walked in the sun up past the old Bofors gun towers and a soon-to-be restored AC Aceca and, simply by strolling through a gap between a couple of barriers, I was there on the pitted, concrete track. I soaked up more sunshine as I walked what’s left of its length. Without doubt, this is the most important and significant piece of motor racing heritage in the world. This was where motorsport records started. Men and women with more ability than sense hurled unstable, overpowered and underbraked machinery round with little regard to their own mortality. Courage like that seeps into the stone. An AC waiting to be restored. A couple of other solitary pilgrims were walking by now. One father was telling his increasingly wide-eyed son about Birkin and Barnato’s Bentley Blower No1. I walked on, thinking that it must have been a wonderful, if closed, world for those fortunate enough to be part of it. What would they have thought? I sat down on what would have passed for a crash barrier and thought about how important this few square metres of racetrack are to British motorsport and aviation. And then about the chain-shop retail park that now sits at its south western corner, thanks to the local council’s decision to trade motor racing history for cash in the 1980s. And the risk-assessed, compliance and procurement-controlled corporate offices within its ambit. And I wondered what Edge, Barnato, Dame Ethel Locke King, 84mph Joan Richmond and 143.44mph John Cobb in his 24 Litre Napier-Railton would make of it. Not very much, I suspect. But then they’d probably have taken the same view of an ex-comprehensive school lad from a rather different sort of estate hanging around their track. Progress ain’t always a bad thing.